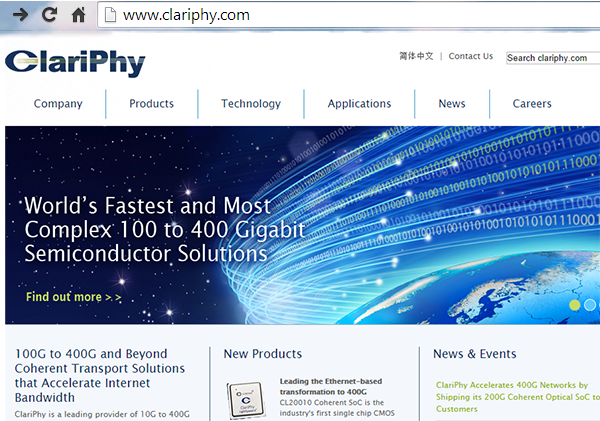 ClariPhy has begun commercial shipments of its LightSpeed-II CL20010 coherent system-on-a-chip (SoC) that features configurable data rates from 40G to 200G per wavelength. The company said its CL20010 leverages a multi-rate and multi-modulation architecture for Software Defined Networking (SDN) at the physical layer. It supports 200G 16QAM modulation on a single wavelength, and that enables 400G dual-carrier super channels in 75GHz of DWDM spectrum. The chip is implemented in 28nm.